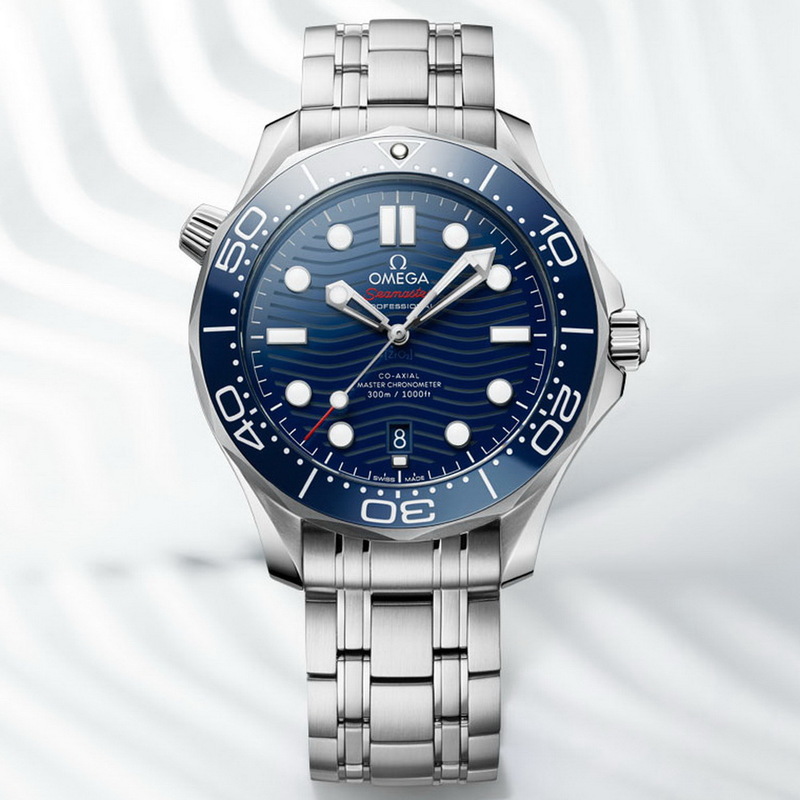 Omega have given the Seamaster Diver 300M its biggest update since – well, since its last update. The Diver 300M has enjoyed success for 25 years. I think the 007 movies had quite a lot to do with that. It was Pierce Brosnan’s SM Professional 300M Ref. 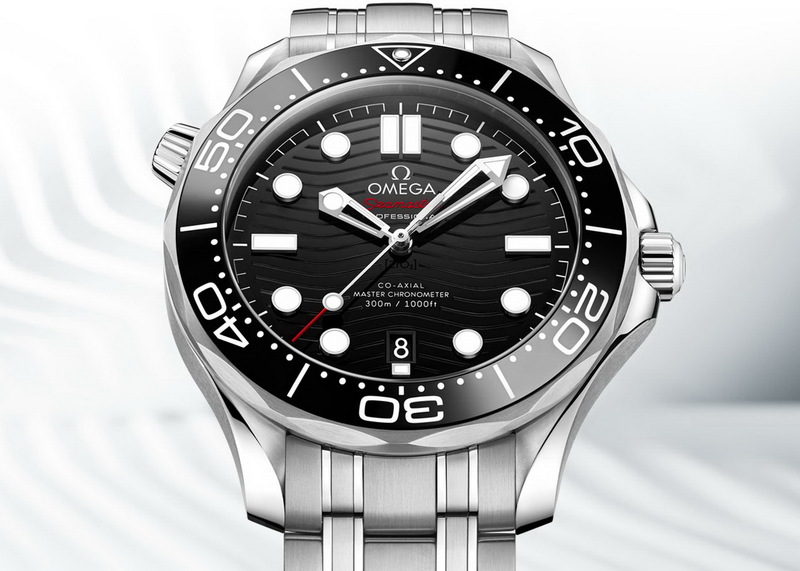 2541.80 (above) that he wore in the epic 1995 James Bond film, GoldenEye that was a pivoting point for the brand. 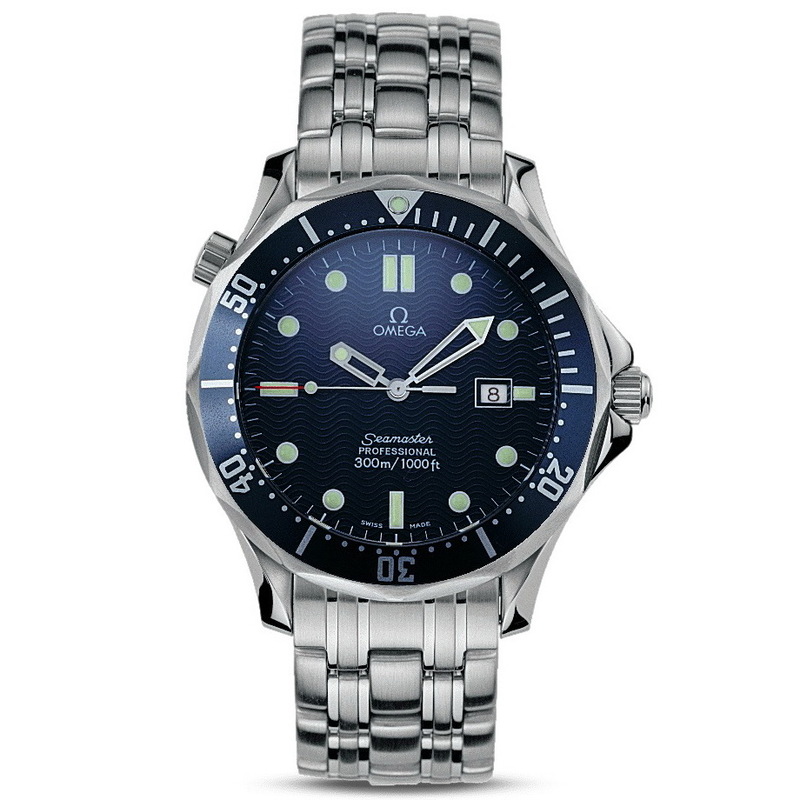 I was just a half-pint, myself but that’s when Omega as a brand first came onto my radar – particularly as an alternate to a Submariner. 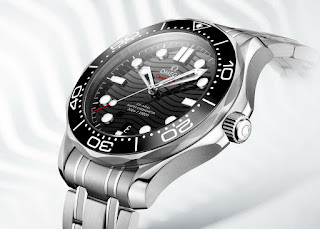 BTW JB continued to wear the SM Diver 300M until Daniel Craig took over with his PO. 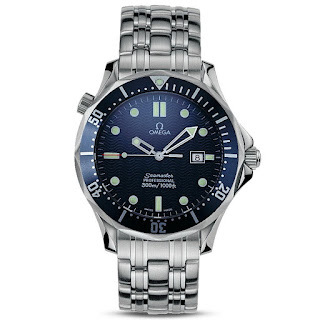 I dunno’ what your thoughts are on the matter but, I’m kinda’ over the PO – I got one of the earliest PO XLs and still have it – it’s a cracking watch, but I think the SM 300 re-edition kind took over its position as Omega’s vintage-styled diver. now sized at 42mm, every design detail has been rethought, including a new ceramic bezel with its dive-time scale in Ceragold or white enamel. Inside, the watches house the Master Chronometer Caliber 8800, elevating the collection beyond anything it had previously ever been with better levels of precision, performance and magnetic-resistance. 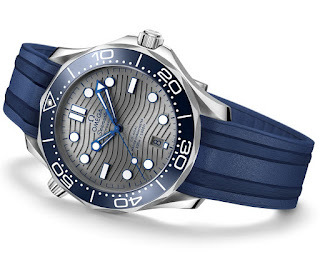 I’m kind on the fence about the dials (I would have to see them in person), but these are now made from ceramic and are available in black, blue or PVD chrome. 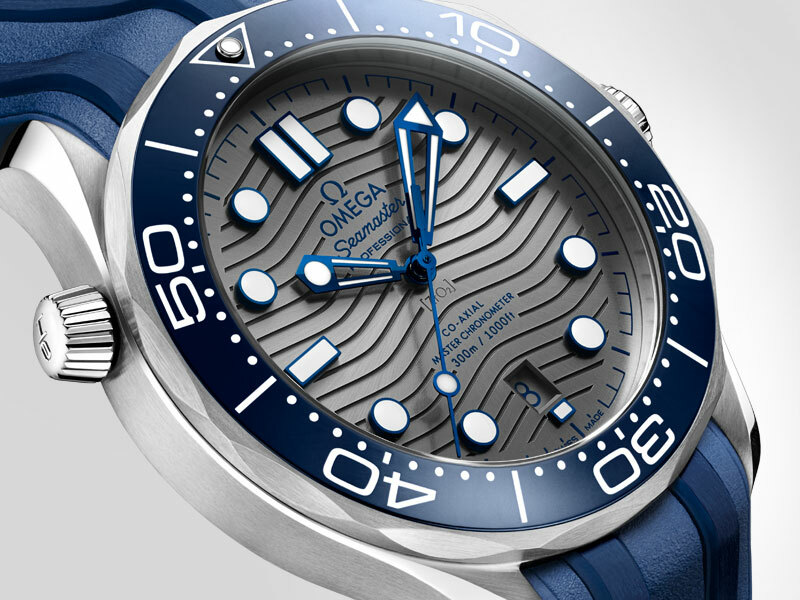 The Diver 300M’s signature wave pattern has been reintroduced and is now laser-engraved with its hour-markers raised and filled with SuperLumiNova. Even the skeleton hands have been subtly re-designed. One of the Diver 300M's hallmark features has always been its Helium Escape Valve. For the new models, the HEV has been given a new conical-shape and has been patented by OMEGA with some clever tech that allows it to be operated underwater – where else?! 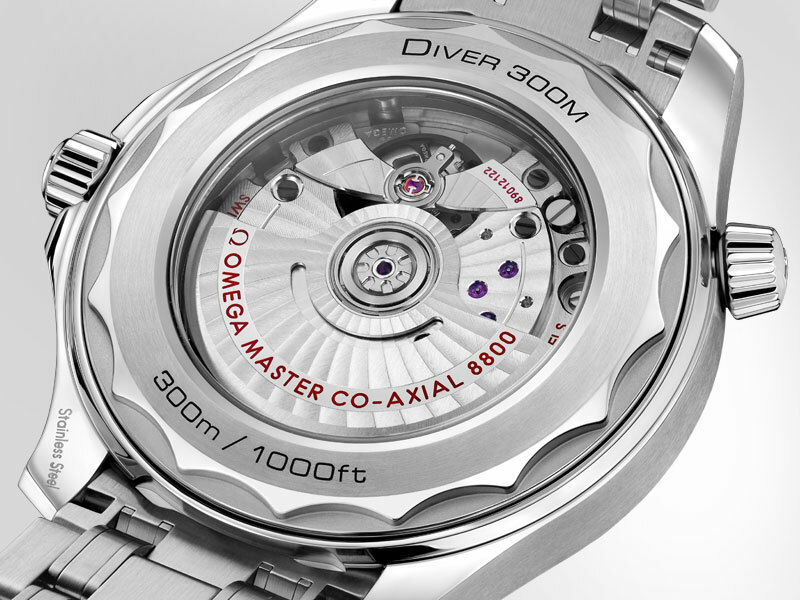 Flip the new Diver 300M over to reveal more wave-patterns etched on the case-back, along with a Sapphire crystal, affording views of the METAS-approved Master Chronometer Caliber 8800. 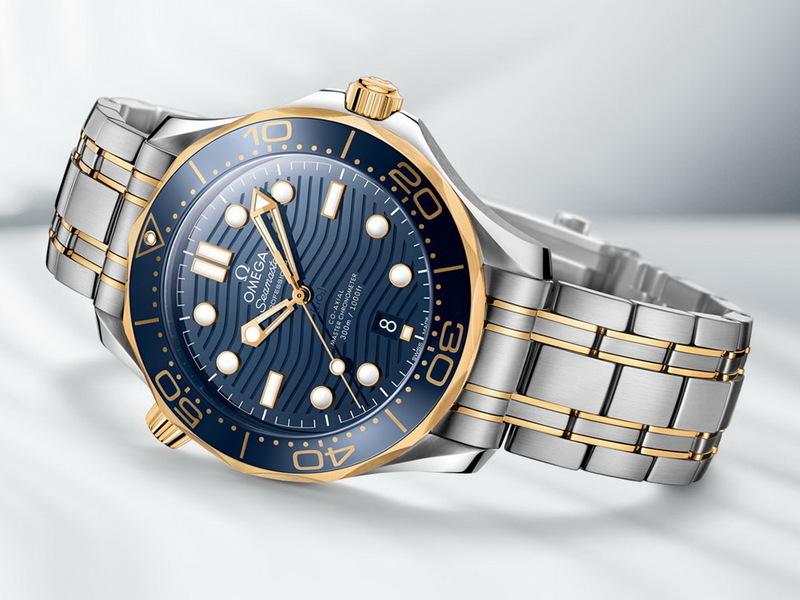 The full 2018 Diver 300M collection includes a total of 14 new models that include: 6 in Stainless steel and 8 in a mix of Stainless steel and Gold. 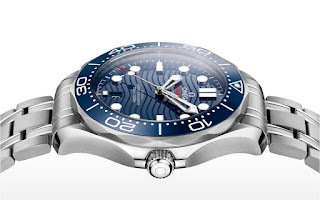 Each model is presented on an integrated black or blue rubber diver’s strap, or a traditional steel bracelet with a newly ergonomically designed and a patented extendable fold-over rack-and-pusher with a diver’s extension. 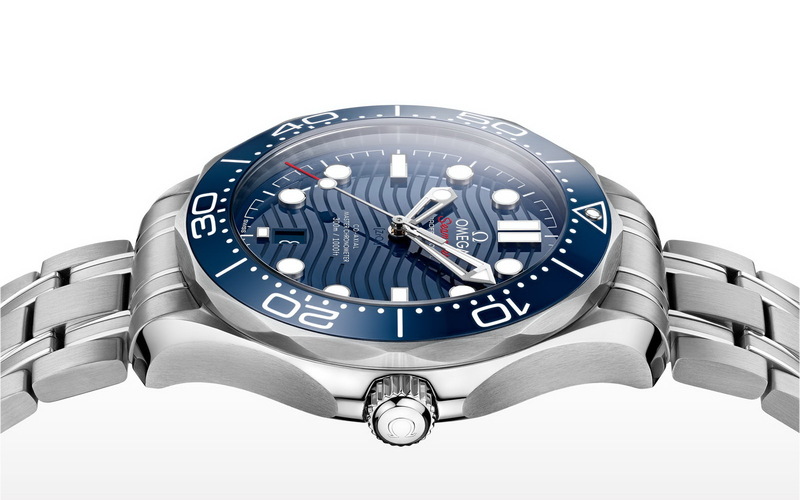 But wait, I lied – there is another very special Diver 300M taking the collection up to 15 new models. 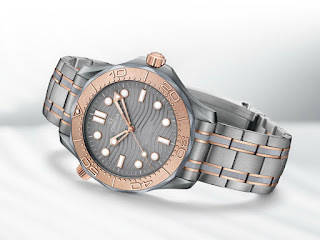 The Titanium Tantalum Limited Edition of 2500 pieces more closely follows the original 1993 design by using Tantalum for the base of the bezel, as well as its bracelet. 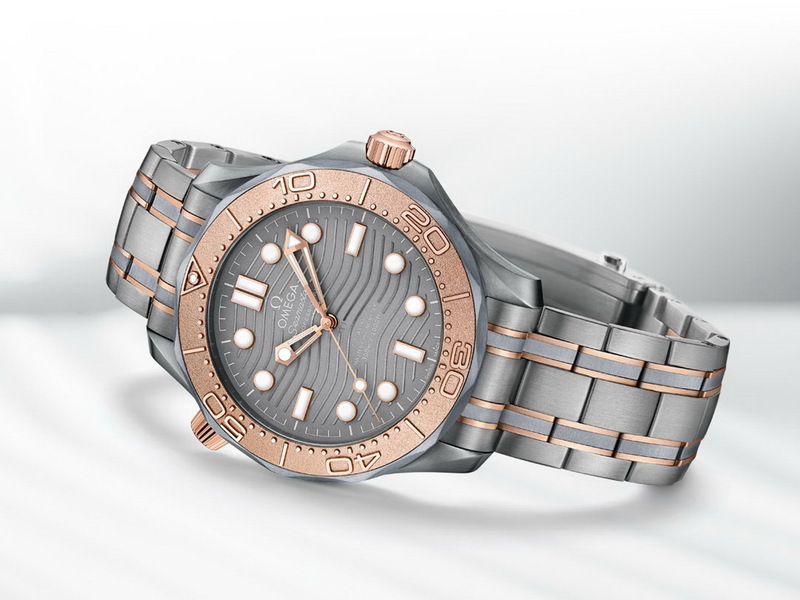 The Tantalum’s blue-grey tones offer a subtle contrast to the Grade 2 Titanium and 18K Sedna Gold, which are used for the other features of the watch. This has a cool 90s retro vibe that I absolutely love. By,by,...until a new one comes planet ocean !! !